INQLINE Securement is a fully tested, fully-integrated, heavy-duty winch and restraint system that features dual automatic retractors that double as front tie-downs. The patent pending design is the first steerable system, finally allowing full control to get your passenger into position without the usual shoves, snags, back-injuries or high liability potential of overruns associated with winches. 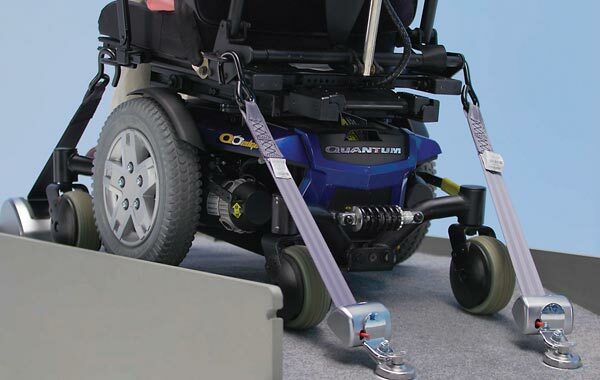 The operator releases the INQLINE Securement belts and attaches J-hooks to the wheelchair frame to secure the mobility device. Next, the operator uses the thumb controller to steer the wheelchair up the ramp and into the vehicle. 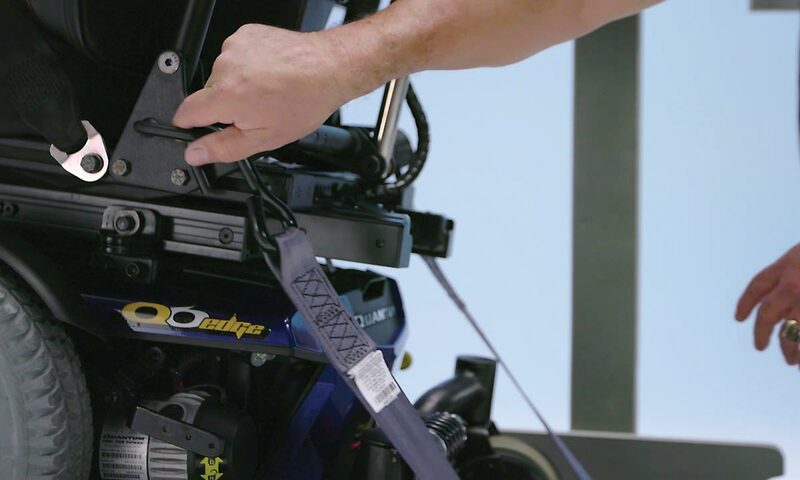 Once safely inside, the operator attaches the rear tie-downs and applies a ‘final squeeze’ via the wall control unit. 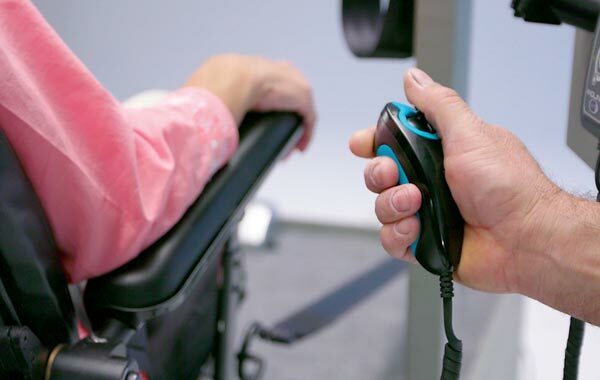 INQLINE’s 360° thumb controller allows operators to effortlessly steer a wheelchair occupant up and down a ramp. No two wheelchairs are perfectly balanced. No vehicle is ever parked on a perfectly level surface. Only INQLINE Securement gives you the control needed to safely compensate and steer your passenger regardless of the everyday factors. Even most winch systems still require operators to shove chairs over, or pull them free from snags, and take away the opportunity to safely bring them in or out of the vehicle in a controlled manner. 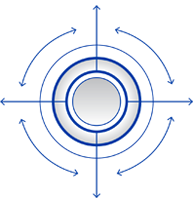 Only INQLINE Securement gives operators full control of the boarding and securement process, requiring minimal physical strain regardless of the obstacles encountered. 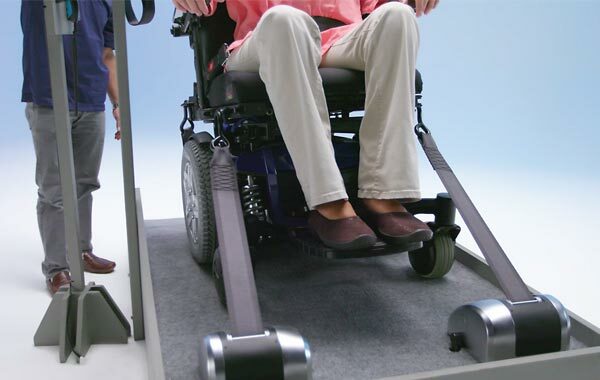 No more ‘running starts’ or back pain from struggling to push a wheelchair up a ramp. 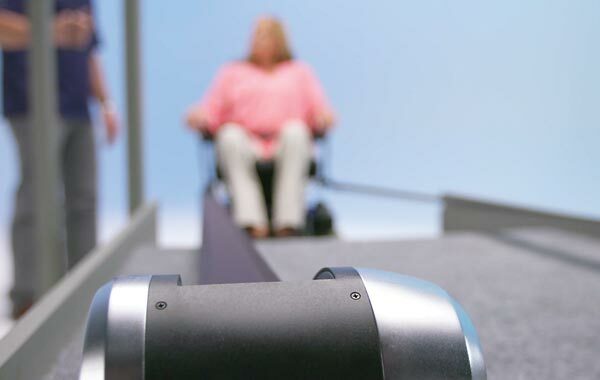 Attempting to guide mobility passengers up or down a ramp, even in ideal conditions, can be difficult and sometimes dangerous. 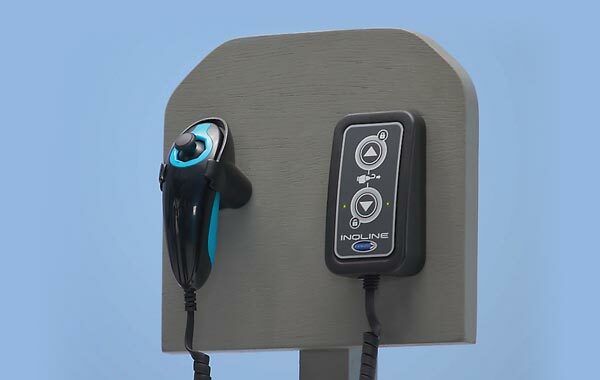 INQLINE Securement simplifies the process with an ergonomic thumb controller that allows the operator to manually steer the passenger in and out of the vehicle. Controlled steering not only reduces the possibility of tip overs, but gives the operator full command and confidence to tackle common hurdles like curbside parking, uneven surfaces and shifting weight distribution. INQLINE Securement utilizes two world-class Q’STRAINT automatic retractors as independently controlled winch systems with a patent pending over-the-top webbing design to provide several key advantages: the only automatic-tensioning winch, the ability to install in more applications and ensure safe tie-down angles (virtually eliminating damage and liability associated with passenger and footrest interference), and the exponential increase in allowable floor space allows for larger wheelchairs with less likelihood for unsafe webbing angles common in small vehicles. Rider motion and crash worthiness are dependent upon proper belt angles. INQLINE Securement’s front and rear tie-downs were designed to attach at the ideal angle every time, resulting in steadier ride conditions and a superior crash test performance unmatched by other systems. 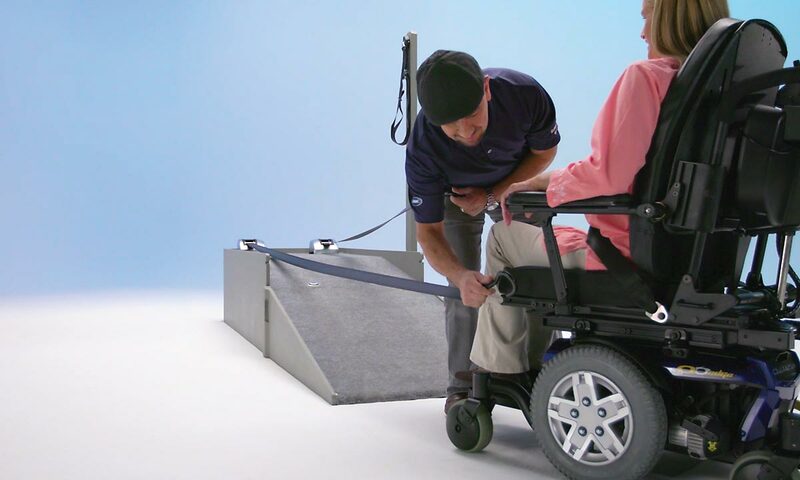 INQLINE Securement’s lower belt angles also enable larger wheelchairs to fit into tighter vehicle spaces, while making the unit fully adaptable to a variety of custom installation configurations; from floors to walls or even discreetly installed under vehicle seats. The new 360° rotating webbing guide keeps webbing twist-free and helps accommodate larger wheelchairs. 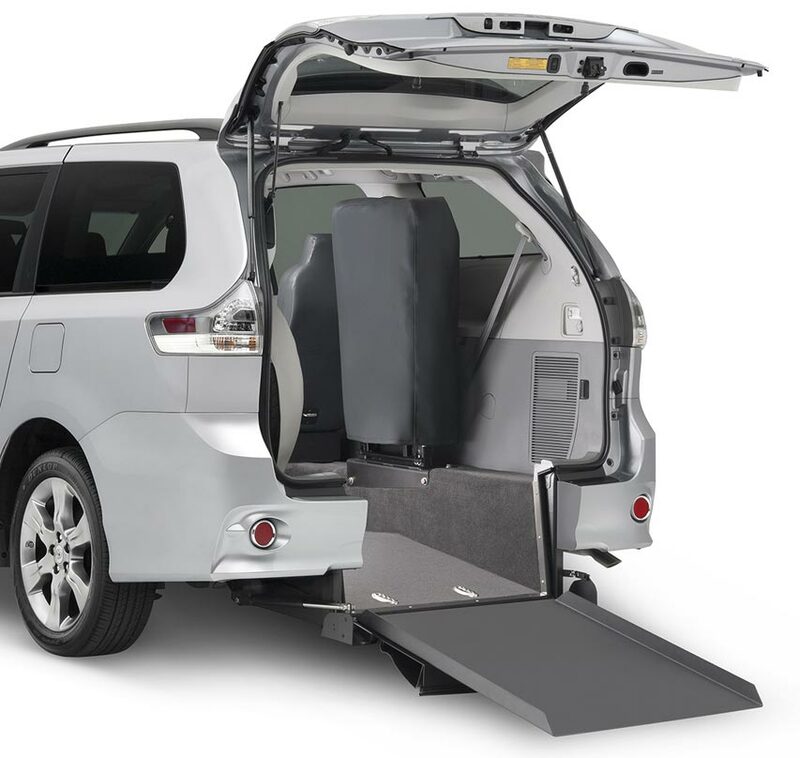 The process of safely securing a mobility passenger is complicated and adding passenger boarding to the equation creates another level of complexity. INQLINE Securement’s wall control panel simplifies all of these functions into an intuitive 2-button unit. 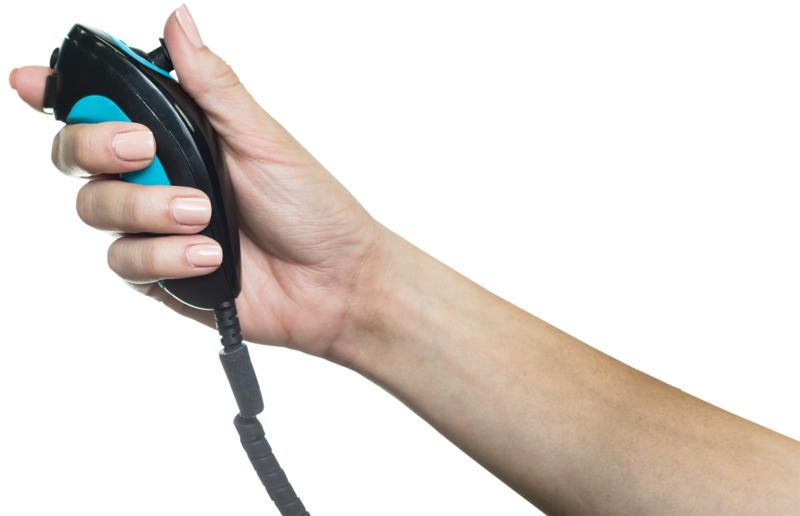 The operator can use the wall-mounted controls to easily manage the engaging, releasing and tensioning of the belts as needed; all while attending to the passenger. INQLINE Securement is simply the fastest and easiest way to safely secure a passenger in a rear-entry vehicle. 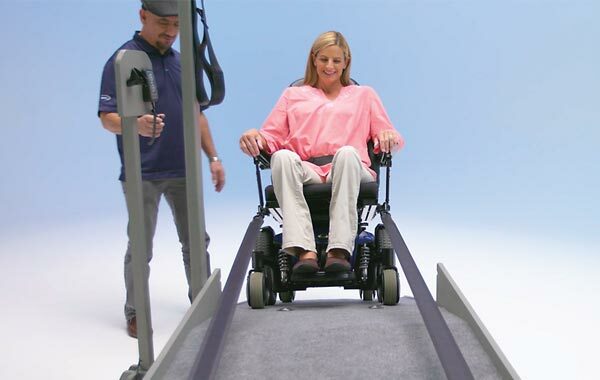 By integrating the front tie-downs into the retractors themselves, INQLINE completely eliminates a time-consuming and uncomfortable step of the securement process. Drivers no longer need to reach around and invade the space of passengers, allowing both parties to remain confident and relaxed. Drivers stay on schedule and mobility riders no longer feel like an inconvenience. Gone are the days of running starts to gain momentum and back pain from struggling to push a wheelchair up a ramp. 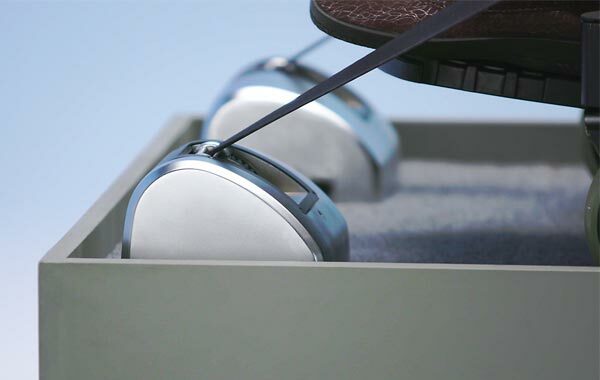 INQLINE Securement gives operators full control of the boarding and securement process, requiring minimal physical strain regardless of the obstacles encountered. Passengers feel safer (because they are!) and operators have true peace-of-mind, leading to better interactions and more positive experiences for everyone. Ride quality in a rear-entry vehicle with traditional 4-point securements has always been substandard. Passengers and drivers alike want less curb time, less intrusive procedures and a smoother ride. 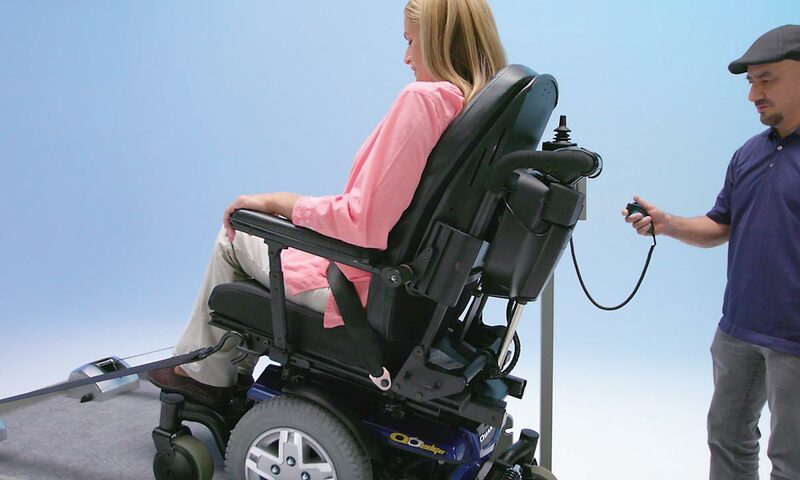 INQLINE Securement’s ‘final squeeze’ feature uses electronic sensors to determine exactly how much pressure to apply to the wheelchair, ensuring proper securement at all times. No more swaying and no more guesswork. 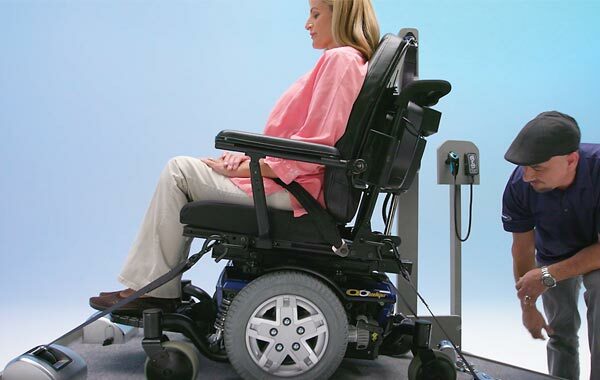 With INQLINE Securement, the wheelchair simply feels like part of the vehicle and that’s how it should be.